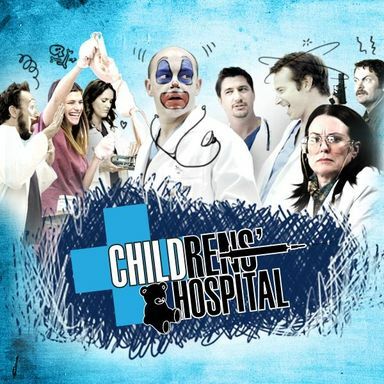 This hospital drama set in a hospital for children airs on thewb.com. In Total Drama All-Stars, Chris McLean brings back 14 of your favorite contestants from past seasons for the most dangerous, disgusting, dramatic challenges yet. See what's going on with Cameron, Courtney, Duncan, Gwen, Heather, Jo, Lightning, Lindsay, Mike, Sam, Scott, Sierra and Zoey, and watch the drama unfold. Some of them are meeting for the first time, while others will rediscover old relationships and rivalries. Return to Camp Wawanakwa and watch as Chris and Chef put these contestants through the ringer as they compete for the one million dollar prize. It's an epic battle of good vs. evil as the Heroic Hamsters face off against the Villainous Vultures. Who will win? Who will lose? Who will simply lose their lunch? First aired September 10th, 2013. Welcome to the Banana Cabana! Led by Howie, the fun-loving, hospitality-challenged manager, the Banana Cabana is home to mayhem, destruction and general debauchery... where there are no parents, no rules and no clothes... well, almost! But, Howie can't take all the credit! Surrounding Howie are his best friends and fellow employees - Octo, Bunny, Narwhal, Duck, Sloth and, a holdover from the old regime, Piggy. First aired June 13th, 2011. First aired July 12th, 2010. First aired November 11th, 2011. First aired October 3rd, 2008. Fifteen-year-old Rex is not like other boys. Infected by microscopic molecular-altering nanites, this boy has the ability to grow machines out of his body. As a result he travels the world investigating biological mutations. First aired April 23rd, 2010. First aired April 5th, 2007. ThunderCats, ho! ThunderCats presents the grand origin story of Prince Lion-O's ascension to the throne — and those who would thwart his destiny at any cost — and takes on epic dimensions in this sharp new telling of the 1980s classic. This all-new animated series combines swords and science, as the forces of good and evil battle each other in the quest for the fabled Stones of Power, and Lion-O and his champions learn valuable lessons of loyalty, honor and mortality in each episode. This reimagining marks a creative collaboration between Warner Bros. Animation and Studio4°C, one of the most vibrant animation studios in Japan, giving the characters a new cutting-edge look while remaining true to the compelling storylines and mythology of the series. Roaring to life through the Japanese animated artistry of anime, the characters of Lion-O, Mumm-Ra, Panthro, Cheetara and others spring off the screen with realistic catlike characteristics inconceivable in previous incarnations. First aired July 29th, 2011. 16-year-old Ben Tennyson is an internationally-known super hero to kids, and distrusted by adults. Armed with a mysterious new Omnitrix, Ben is ready for action in a whole set of new places. In this new animated series, Batman travels to the past and future, journeys beneath the sea and into outer space, and teams up with fellow heroes such as Blue Beetle, Green Arrow, Plastic Man, Aquaman, Red Tornado, Wildcat, and many more, in this series inspired by the classic DC comic The Brave and the Bold. First aired November 14th, 2008. Sym-Bionic Titan was an American animated television series created by Genndy Tartakovsky for Cartoon Network. The series focused on a trio made up of an alien princess, a rebellious soldier, and a robot; these three characters are able to combine to create the titular Sym-Bionic Titan. A preview of the series was first shown at the 2009 San Diego Comic-Con International, and further details were revealed at Cartoon Network's 2010 Upfront. 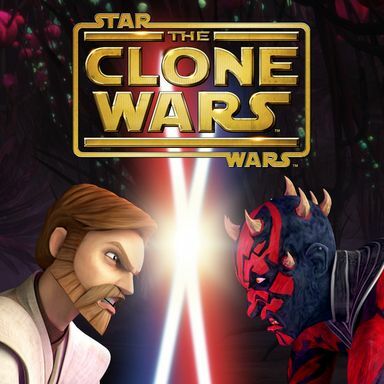 The series premiered on September 17, 2010. Cartoon Network initially ordered 20 episodes; Tartakovsky had hoped to expand on that, but the series was not renewed for another season. Tartakovsky is now reported to have moved on to Sony Pictures Animation. First aired September 17th, 2010. First aired June 13th, 2010. 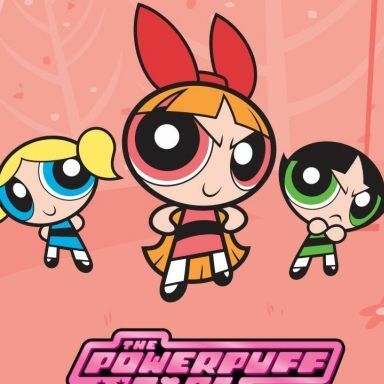 Craig McCracken, creator of The Powerpuff Girls, presents an Emmy-Award winning Flash-animated Cartoon Network original series with some of the best friends you can think of. In this world, imaginary friends become real the instant a kid thinks them up. Everyone can see them, everyone can talk to them -- but what happens when a kid outgrows his friend? Then that friend is welcome at Foster's Home for Imaginary Friends, an adoption center owned by old Madame Foster, that provides a home for them, until a child in need of an imaginary friend, who can't think their own up, comes to adopt them. One such friend there is Blooregard Q. Kazoo, the creation of eight-year-old clever, yet shy Mac, who's mother tells him he's too old for Bloo. Though the little blue blob felt that "adoption is not an option," Mac convinced him to stay long enough that, after a sinister plan devised by self-centered Duchess and Mac's 13-year-old dumber than dirt bullying brother Terrence fails, Mac proves his loyalty. Moved by his loyalty and pure imagination, Madame Foster, herself, states that Bloo may stay at Foster's without ever having to worry about being adopted. In return, all Mac has to do is visit every day. This isn't a problem, considering that Mac would rather spend his after-school time with Bloo and all the other wacky friends, like the egg-laying sanity challenged bird-airplane-plant thing Coco, cowardly protector Eduardo, basketball-playing Wilt, along with Madame Foster's granddaughter Frankie and the imaginary friend created by Madame Foster, Mr. Herriman, than at home. Every day, thanks to Blooregard's crazy schemes, the gang end up in wacky adventures. First aired August 13th, 2004. First aired November 18th, 1998. After Chris took the show worldwide, Camp Wawanakwa has been abandoned and turned into a toxic nuclear waste dump. It will provide a great place for all-new challenges and risks as thirteen new players fight to win the million dollar prize. First aired July 8th, 2007. First aired July 19th, 2003. 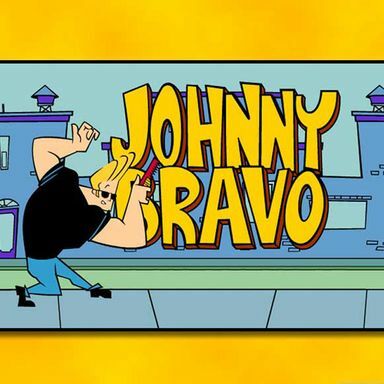 Johnny Bravo is the hilarious hit Cartoon Network series that tells the tale of the self-obsessed all-brawns-little-brains character Johnny Bravo, whose biceps are as big as his ego. In love with himself, his eccentric Mama thinks Johnny Bravo is perfect, but we all know different, right? Desperate for a girlfriend, the hapless hunk works out all the time but hasn’t worked out how to charm girls! Only Lil’ Suzy, the girl next door, has a crush on Johnny Bravo, but let’s face it she’s far too young to know any better. Laugh out loud as Johnny Bravo tries to woo the ladies with his big blonde quiff! First aired July 7th, 1997. First aired April 1st, 2001. First aired July 22nd, 2011.